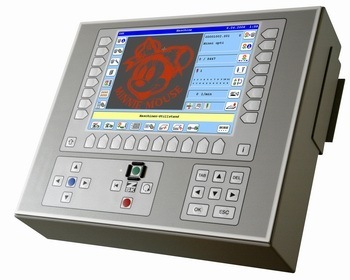 Network ZSK Embroidery Machines without additional software! The New T8 controller allows an operator a more efficient machine and better consistency across the board. This controller is built on the Windows platform – allowing higher operating speeds as well as upgraded RAM and storage memory (up to 7.2 million stitches). Along with this technology, this controller can network with your computer without any extra utilities – your computer & machine can communicate with one another without having to upgrade, or purchase anything extra! Use an ethernet or crossover cable and simply change the settings on your computer & machine. No proprietary software or utility required. By networking your machine to a computer or a server, you can pull your designs from any directory that is shared with the machinery. Eliminate the need for any external USB keys and store all your designs in a central location. The video below is a tutorial on how to network a machine (equipped with the T8 controller) to a computer directly (with a cross-over cable).